Playing in a Performance Ensemble is a very different experience from Private Lessons. The two compliment one another like peanut butter and chocolate! While Private Lessons allow students to learn the specific playing techniques on a particular instrument, a Performance Ensemble takes that playing ability to the next level by combining musical artistry and ability with other players in a collaborative group setting. This allows students to learn more and to enjoy playing music with other people. 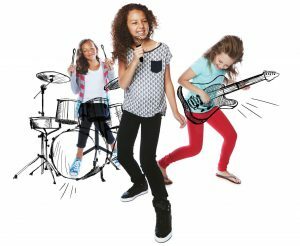 Performance Ensembles teach high level listening skills, steady beat and rhythm skills, intonation, how to blend and balance sound, how to work cooperatively as a team, and encourages more at home practicing. Most importantly, it’s a lot of fun to play in a band and you’ll make memories that last a lifetime! REGISTER NOW for 2018 Performance Ensembles! Auditions will be held on Sunday, January 14, 2018. SPRING TRIP! – Anaheim Music Festival and Day at Disneyland! We are so excited about going to the Anaheim Music Festival next April 2018! Little School of Music Performance Ensembles (8 students minimum per ensemble) will take the stage and perform musical selections for a live audience followed by an on-stage clinic from a nationally acclaimed adjudicator. 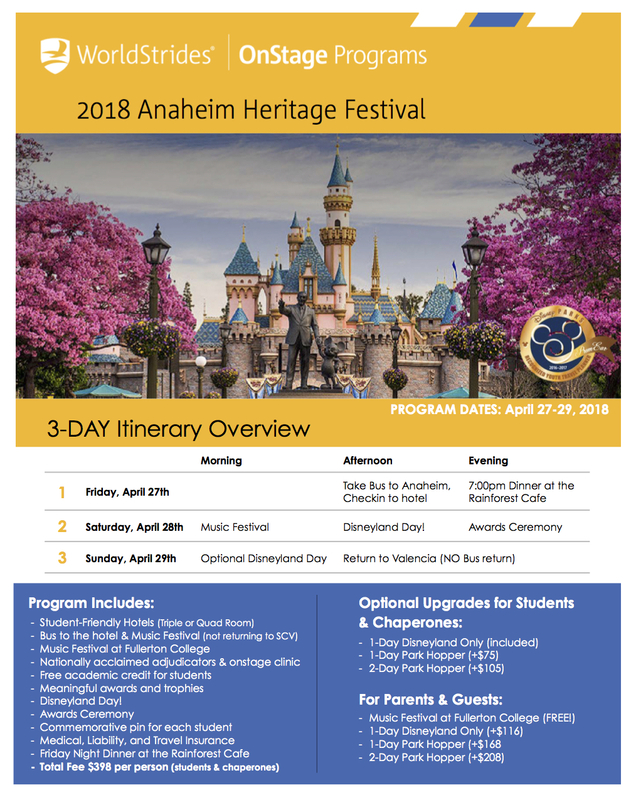 The trip includes: the music festival, onstage clinic, free academic credit for students, meaningful awards and trophies, student-friendly hotels, gift for the Director, commemorative pin for each student, medical, liability and travel insurance, exclusive TriQuest fundraiser, awards ceremony with Disney Characters, and a Day at Disneyland! Please let us know how many people in your family will be attending! $50 Deposit per person is Due at Registration!